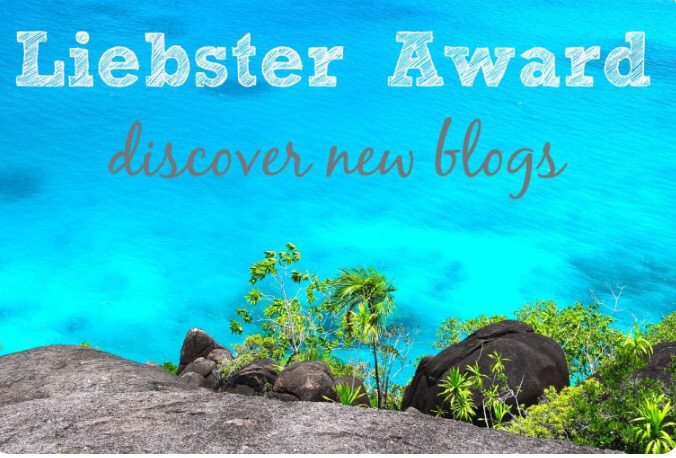 I’ve been tagged in the Liebster Awards by Claire from Tin box traveller all about finding and sharing new blogs. I’ve been loving reading Claire’s blog posts and discovering all the other bloggers who were tagged. So now it’s time for me to tag more bloggers and answer my questions. 1. Thank your nominator and link back to them from your post. 2. Answer the questions you’ve been set and tag your nominator when you share your post on social media. 3. Nominate 5- 11 bloggers to answer some questions from you. Don’t forget to let them know! This is a hard one but if I had to pick just one l’d say pad Thai. What’s your best memory from a holiday? Our recent trip to Rome, Finn sat at the table with us eating and loving new foods. After worrying so much about being in a new city with a toddler this just proved to me how adaptable children are. How many times have you moved home? 9, if you include all my moving to different student accommodation. Where’s your favourite place in your home country. The Lake District in particular the Swan Inn at Newby Bridge but all of the Lakes is beautiful. Camping or all inclusive ? Another tough one I’d say camping, you definitely get more quality family time. We had just returned from Finn’s first break away to the Lake District. What’s your best tip for holidaying with kids? Forget any routine you have just go with it you’ll have a much better time. What have you got planned for your next day out? I want to take Finn to a farm be will love the Animals. What do you find most useful for planning your travels: Guide books, Trip Advisor, Blogs or something else? I’ll admit I’m a massive planner so I read everything I love other blogs for a personal touch, but also find trip advisor is great for checking out hotels. I always use a lonely planet guide book. I’d love to live in New York for a year or so just to experience all it has to offer. If you could be sat next to anyone on a plane for 5 hours who would it be? JK Rowling that woman is amazing and such an inspiration. What are your top 3 blogging must haves? Describe becoming a Mum in 3 words? What is your family favourite day out? What is your Favourite social media platform to use? What is you go to family meal? Which other bloggers do you love? What has been your best family holiday? Hi welcome to my first ever blog post. A combination of being very nervous and not being the greatest with technology I’m sure this is going to be a massive learning journey for me. I follow lots of bloggers and vloggers and follow nearly every Mummy page possible on Instagram and would constantly say to my Husband and Mum I would love to do that one day. Today’s the day I’ve decided to just go for it and see where this journey leads. Hopefully you can all bare with me as I get to grips with the blogging world. I run my own buisness as a self employed Nail Technican, Beauty therapist and High Defintition Brow stylist so feel blogging will fit in perfectly around this. Although for now my blog is mainly going to be based around parenting these may be areas I’ll blog about in the future. As a family we love Holidays, Eating out, visiting the zoo, going for walks, days out, cooking and general family time. Me and Finn also go to gardening club and messy play weekly. I plan to share all this on by blog but at the moment am happy to see which direction it takes.